Architect/ Designer Unknown Builders are of Vietnamese descent. 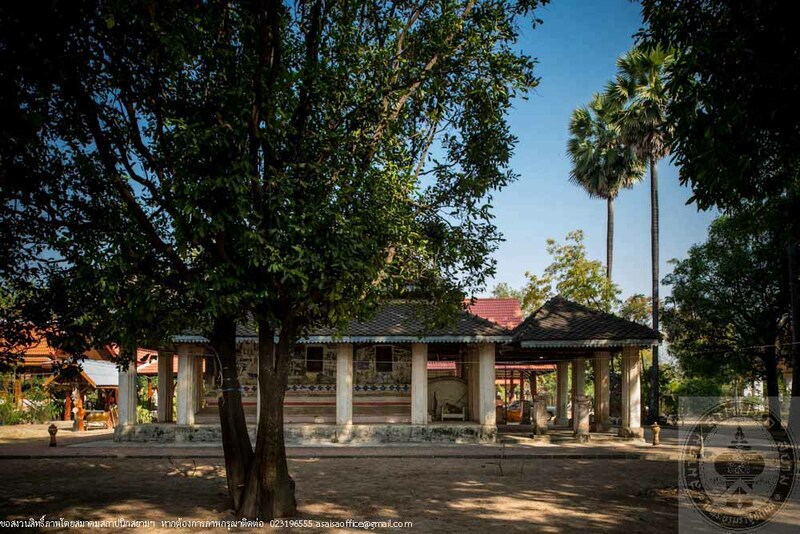 Wat Tha Riap was founded in 1883. 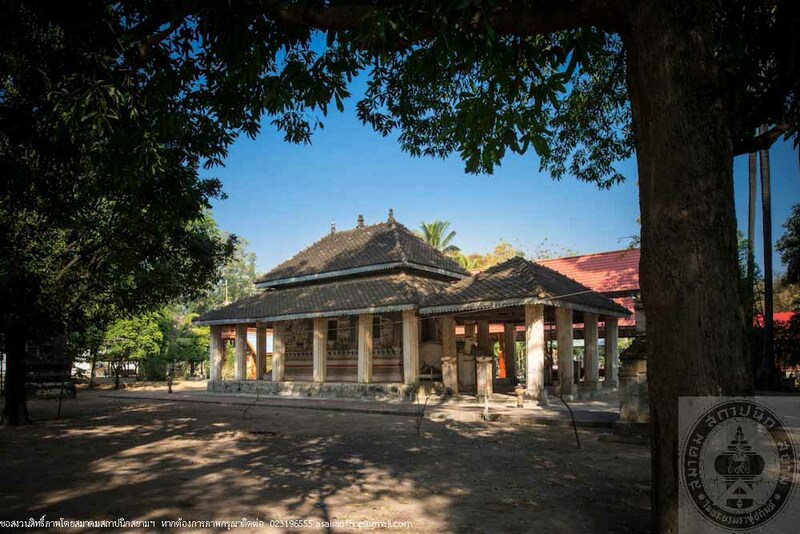 As the location of the temple and its surrounding area is a flatland right on the passage used by the locals to get to the waterside, local folks named the temple “Wat Tha Riap.” The temple received a royal grant of temple status in 1892. The land granted is of 12 meter wide and 24 meter long. 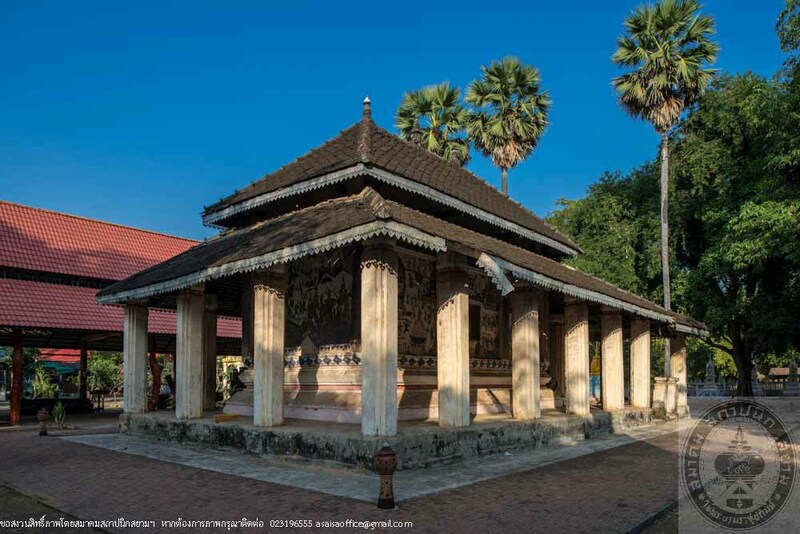 The most important ancient remain of the temple is the local Ubosot built in 1889 by Luang Po Joon. The local folks also took part in the construction by transporting sands from the Moon riverside to the temple building sire with their wagons. The soil used in making bricks is from a nearby pond. 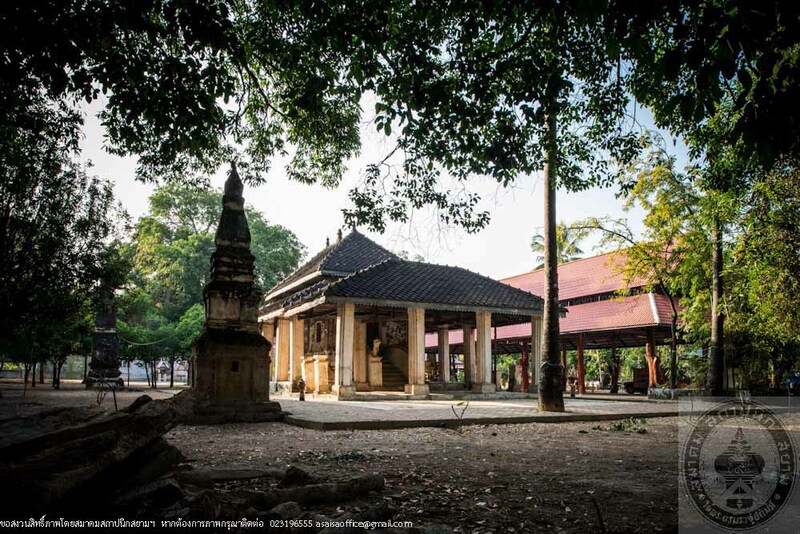 It is believed that builders were from Yang Si Surach, Mahasarakham and of a Vietnamese descendent. 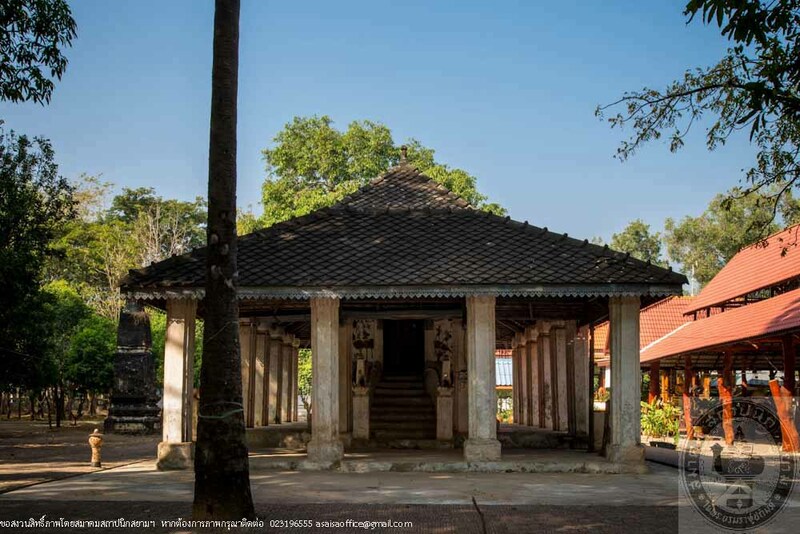 Wat Tha Riap’s Ubosot is a single storey local building. 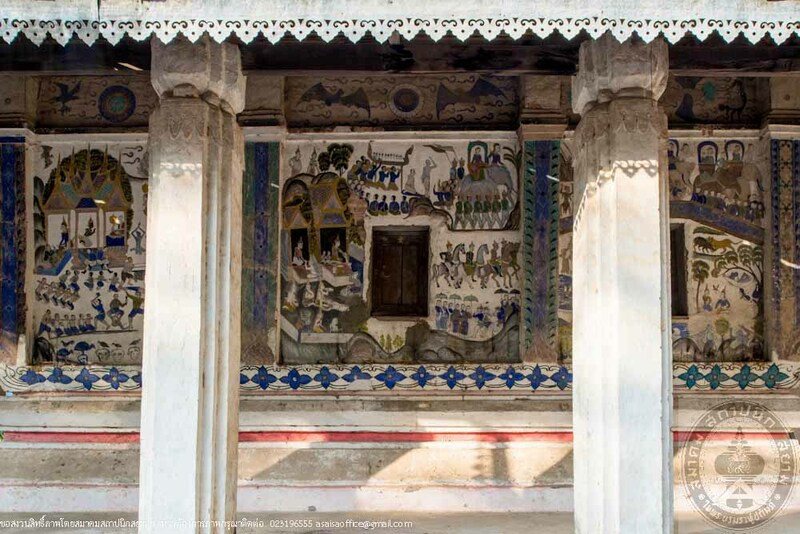 An ordination hall with surrounding terrace on the waist height base and a nine step front entrance stair with stucco of Naga used as handrail decorated with colored tiles. The hall measures 14.80 meter wide, 18.97 deep and 7.35 meter tall from ground to the top of the roof. The internal area is 5.27 meter wide and 10.30 meter deep. Double-pitched hip roofs that connect to the front gable covered with kite-shaped tiles. The roof eaves are embellished with perforated tin sheets. 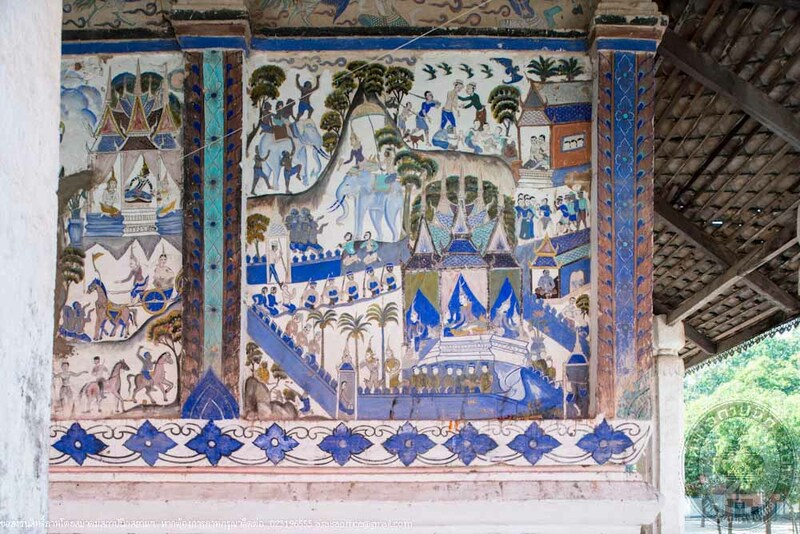 Wall murals inside and out of the building painted by the local folks. 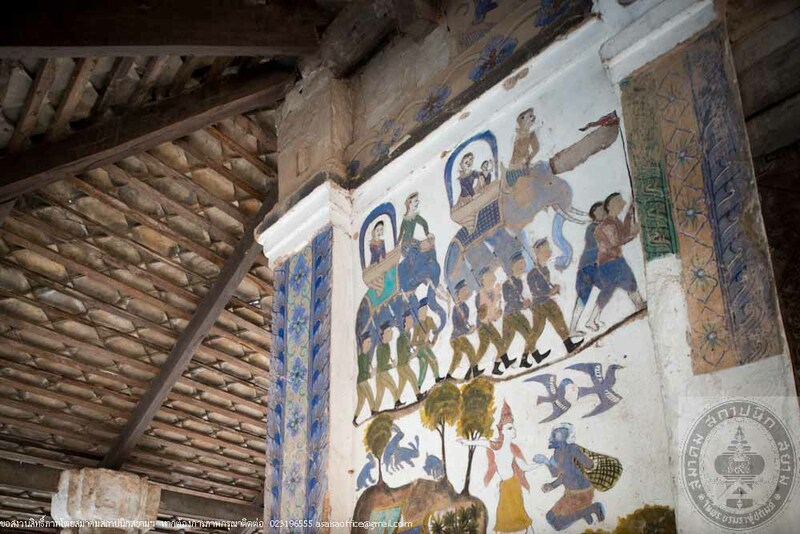 Colors used in painting the murals were extracted from barks and leaves. 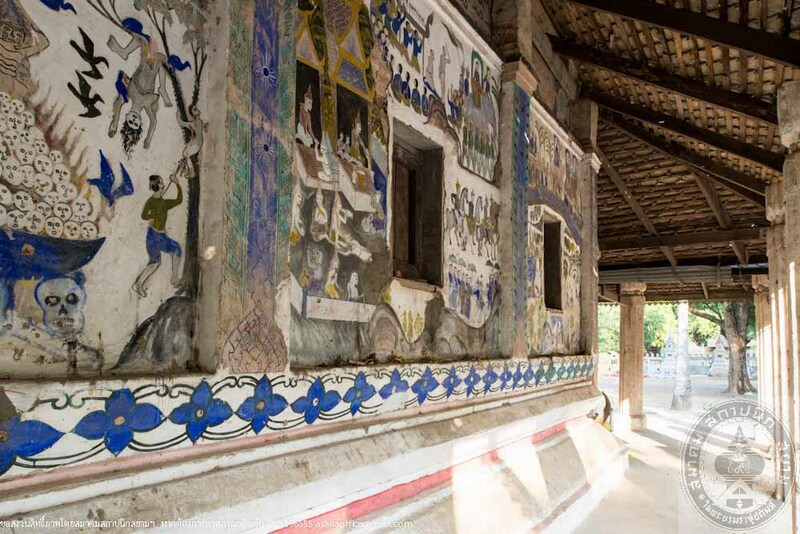 The external wall murals depict the good and the bad, hell and heaven, Jataka, stories of the former incarnation of Lord Buddha up until his birth, enlightenment and nirvana. 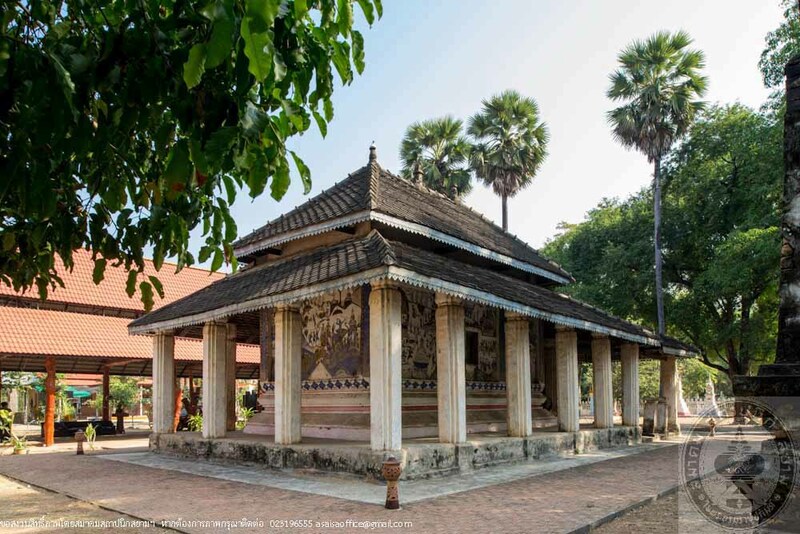 The temple is deemed a center of Buddhist learning where virtues and moralities are fostered in order to teach people to be afraid and ashamed to commit sins and to do good instead to create merit like Phra Malai. 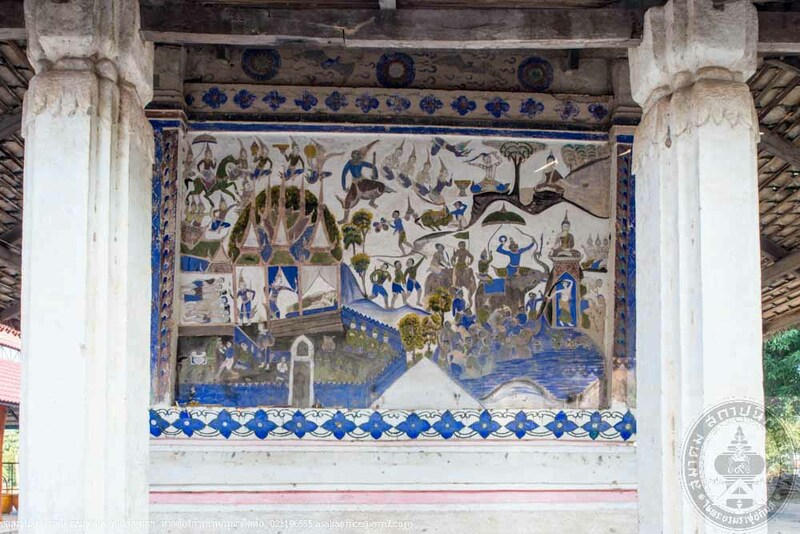 The wall murals inside the Ubosot portray the life history of Lord Buddha exquisitely. 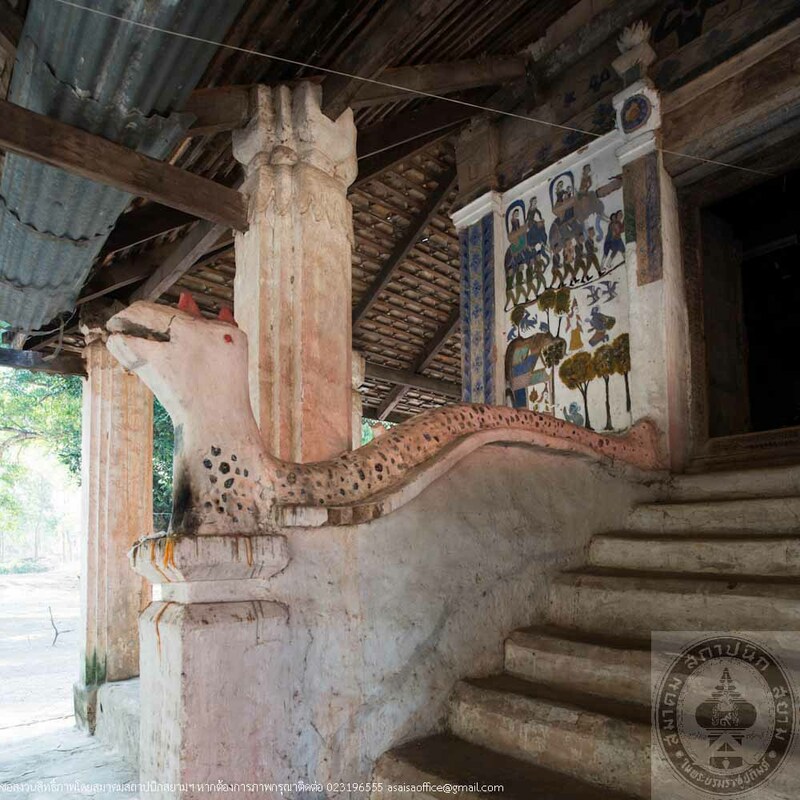 After all this time, the abbots, temple’s committees and people of the community have been aware of how valuable and important this ordination hall is including the value of the community history, arts, local architectures and society which resulted in the continuous care and maintenance of the hall to remain in its original condition and avoid leaving it in disrepair. 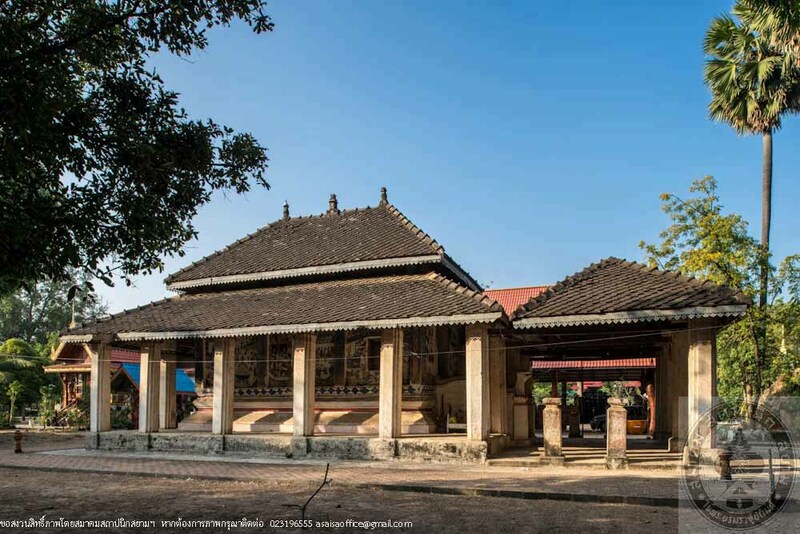 From 2013 to 2014, students from the Department of Architectural Technology, Faculty of Industrial Technology, Buriram Rajabhat University together with the people in the community hosted a Local History Study event whereas history of the Ubosot was published. 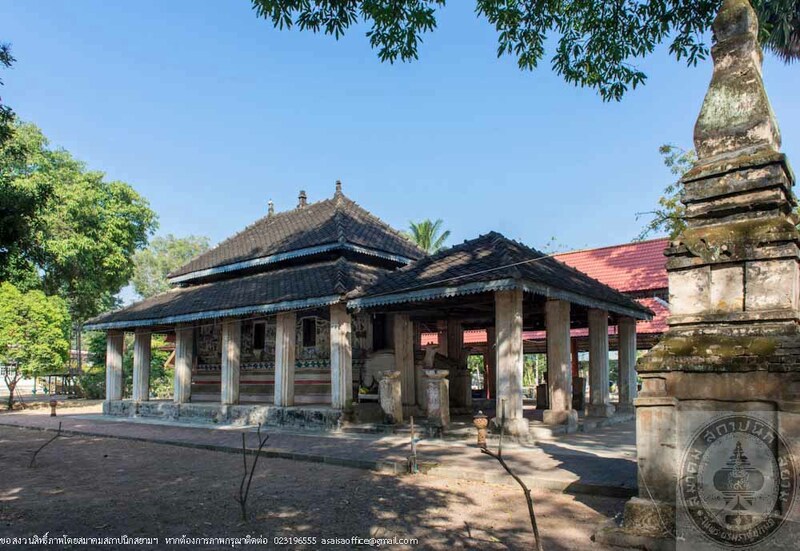 They also conducted structural survey and recorded the hall’s architectural style and later delivered all the information from the study and the building’s blueprint to the abbot and the temple’s committees to be used as a basic reference in the preservation of the structure.